My journey in the fitness industry began 10 years ago after becoming a certified trainer with the National Association of Sports Medicine, and nutritionist with the National Academy of Sports Nutrition. I developed a love for coaching through my sports career as a football player at Southwestern Community College. My athletic career continued on after school with the semi-pro, San Diego Thunder. This gave me the opportunity to work alongside some of the best athletes and coaches in the world. I was an NFL combine attendee and although professional sports had always been a goal of mine, I wanted to make a bigger impact on people’s lives. 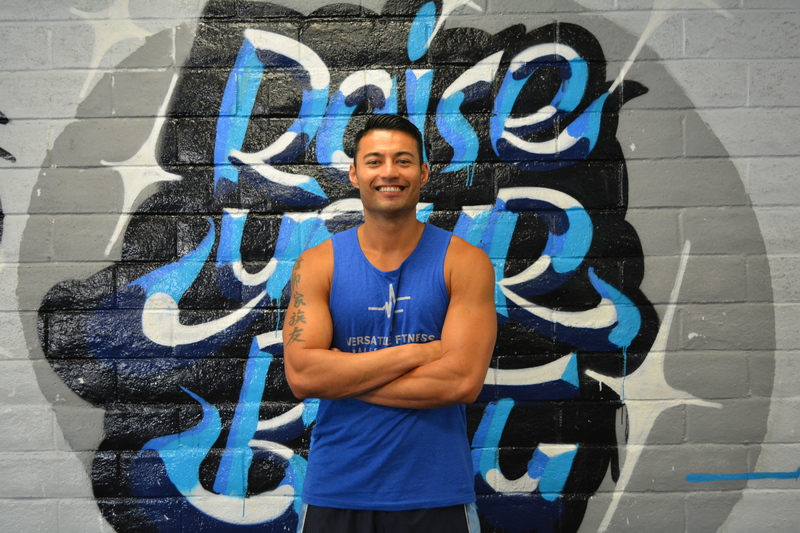 My drive to coach others and share my story started with a few private training clients and then leading large group fitness classes at local gyms and parks throughout San Diego. Along the way, I was fortunate enough to become the lead role for a few large direct marketing companies that relied on me to provide incredible body transformations. I worked with professional and Olympic athletes, as well as with some of the biggest nutrition and fitness companies in the world. My job was to transform as many people as possible within a few weeks time and provide mouth dropping before and after pictures! I learned along the way that a huge part of my own success and teaching others was through goal setting and mindset techniques. I focus just as much on mental health with my clients as I do with physical fitness.